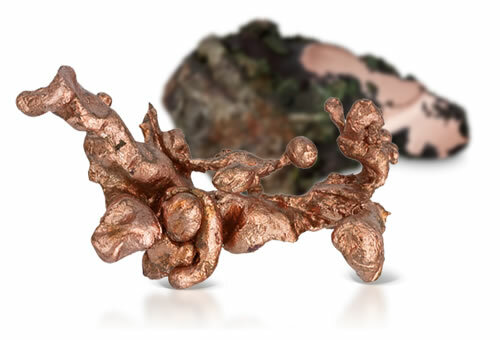 Many minerals are actually copper ores, meaning they contain copper that could actually be extracted. Copper weathering is often involved in the unique coloration of specimens. Popular minerals that fall in this category include azurite, malachite and chrysocolla.